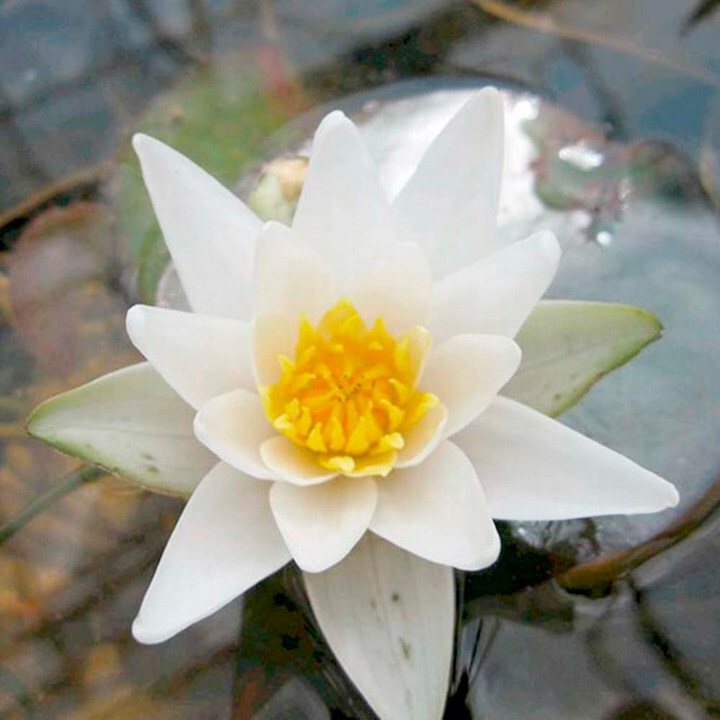 This enchanting water lily has miniature, cup-shaped white flowers and is the smallest of the water features. Flowers June to September. Depth 20-50cm; spread 30-50cm. Supplied in a 1 litre pot.